When Thanos was first introduced during the post-credits scene in The Avengers, comics fans were both excited and curious to see how the big purple alien baddie would be depicted in the Marvel Cinematic Universe films. 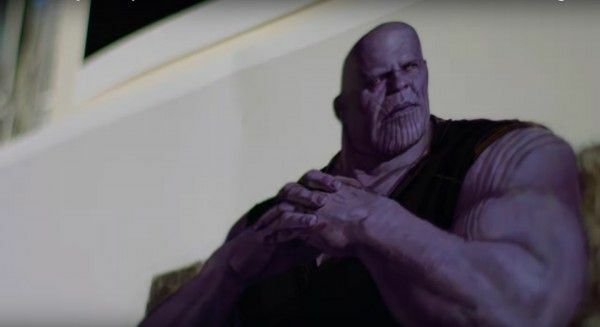 With Avengers: Infinity War on the horizon, where Thanos is poised to take a major role as portrayed by Josh Brolin, we still don’t know a ton about this film version of the character beyond the fact that he’s formidable-looking and he really wants Infinity Stones (reminder: Thanos currently has zero Infinity Stones). But, seeing as how the film is called Infinity War, we can reasonably expect some similarity to the big Thanos comics arc Infinity Gauntlet. That storyline had Thanos trying to collect all of the Infinity Stones (in the comics they’re called “gems”) to put into his gauntlet, thereby giving him limitless power. One of the more intriguing aspects of the Infinity Gauntlet storyline was Thanos’ motivation. He was in love with Death, manifested in a physical being, and set about courting her by mass murdering peoples and worlds. It’s super weird, and something that would be really interesting to see play out on screen. Infinity War has been filming since January, but we haven’t heard any casting news regarding Death. It’s entirely possible Marvel’s been able to keep this under wraps—there are so many actors in these movies—but it’s also possible that Death doesn’t play a part in Infinity War or its sequel. Or it’s possible she only arises in physical form in the untitled Avengers 4, which doesn’t start filming until August. Whatever the case, it’s certainly interesting to see Feige tip his hat to the Infinity Gauntlet storyline.